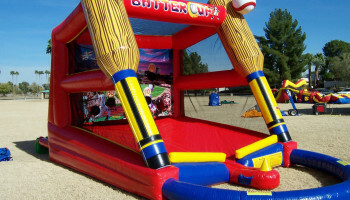 Batter Up lets your guests feel like they are in the big leagues, with this original baseball-themed inflatable game. 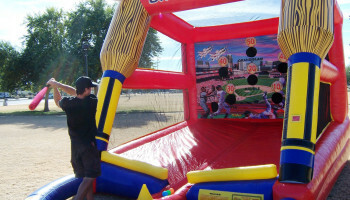 Players can step up to the plate and take part in batting practice as they hit baseballs into an enclosed “outfield.” The back wall has strategic holes, with designated 10-point values for each hit, amid realistic artwork, complete with defensive outfielders trying to catch the ball. 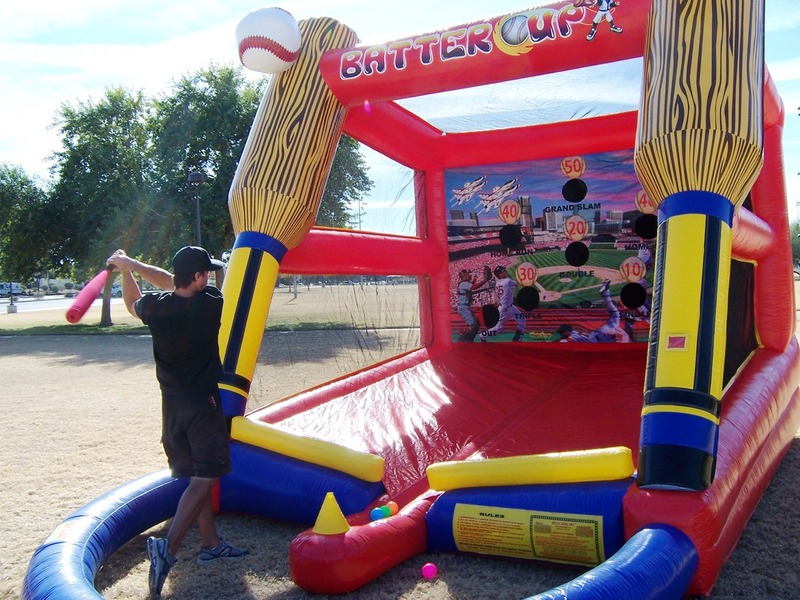 The Batter Up inflatable game offers plenty of three-dimensional details, with a baseball bat and ball flanked opening and versatility; players can bat either left- or right-handed. Game includes soft bat and lightweight balls. Swing away as the ball floats on a column of air. Aim for several targets on the baseball diamond. Balls roll back to the red cone after each hit. Hitting the ball is harder than it looks. 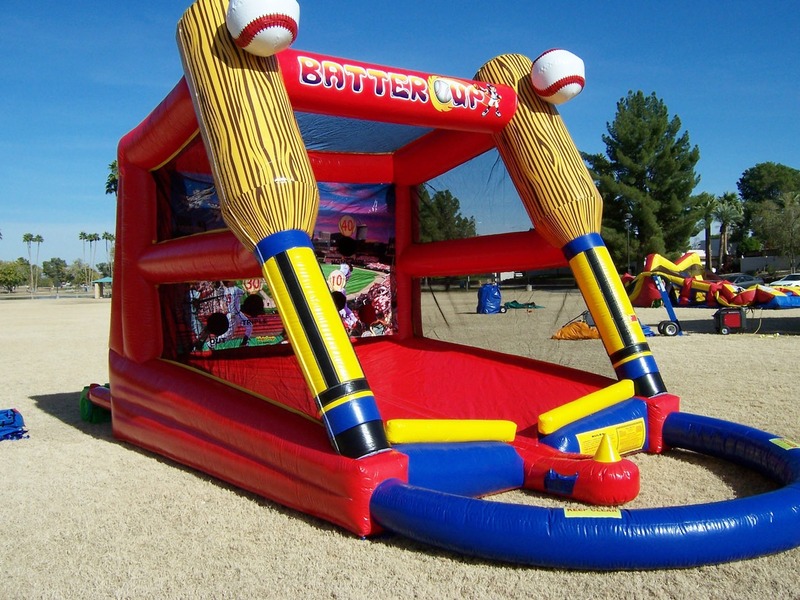 Great for team practice, team fund raisers, baseball field activities or parties.